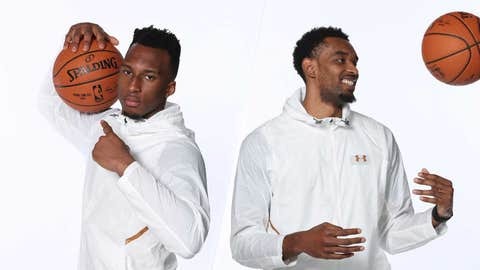 The NBA draft is over and the Minnesota Timberwolves got their men — Georgia Tech guard Josh Okogie and Ohio State forward Keita Bates-Diop. The draft grades for Minnesota’s selections are in and the overall consensus is the Wolves did a very good job. We found five grades in the A range for Okogie while those who also graded second-round picks were highly favorable in the choice of Bates-Diop (who some had mocked to Minnesota in the first round). Obviously we might need a few years to see the true impact, but unlike other sports, in the NBA players are most often looked at to come in and make an impact as a rookie (see: Karl-Anthony Towns). Nevertheless, it’s always fun to see what people thought of the picks. That being said, here’s a listing of 13 grades we culled from around the internet with the overall GPA listed at the bottom. David Kay of WalterFootball.com: D-. “I’m watching the draft with my buddy, Kyle, who is a big time Timberwolves fan, and this was his reaction: “WHO?… WTF?” For the record, I know who Okogie is, but I agree with the “WTF” part. I had Okogie as a second-round prospect but he’s a 3-and-D type player which makes sense why a Thibs-run team would reach for him.” Round 2 grade: A. The Detroit News staff: A-. Steve Alexander of Rotoworld: C.